THE HAGUE - The United Nations (UN) and other international organisations visited by the delegation of the Dutch Ministry of Home Affairs and Kingdom Relations BZK in March, have expressed willingness to assist Aruba, Curaçao and St. Maarten to strengthen their capacity. 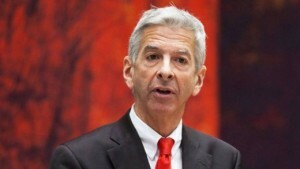 Dutch Minister of Home Affairs and Kingdom Relations Ronald Plasterk stated this in a letter he sent to the Second Chamber of the Dutch Parliament on Thursday in relation to the recent visit of the delegation to New York and Washington, DC. The working visit focused on the theme of capacity development and how international organisations such as the World Bank, International Monetary Fund (IMF), Inter-American Development Bank, Organisation of American States OAS, as well as the different UN organisations, UN Department of Economic and Social Affairs UN DESA, UN Development Programme UNDP, UN Office on Drugs and Crime UNODC and UN Office of the High Representatives for the Least Developed Countries, Landlocked Developing Countries and Small Island Developing States UN-OHRLLS can contribute. “The objective of the visit was to strengthen the contacts with the various international organisations that also work in the Caribbean region, and in particular the Caribbean countries of the Kingdom. The delegation was informed about the possibilities for closer cooperation between the Kingdom and these organisations in light of further economic and social development of the Dutch Caribbean countries,” stated Plasterk. Plasterk remarked that the organisations shared the vision that more regional cooperation can be a solution to deal with the challenges in areas like climate change and sustainability. “There is a lot of expertise and know-how available as to how concrete technical assistance can contribute to the strengthening of the institutions of the Caribbean countries,” he stated. The Minister added that many of these international organisations were regionally organised, which meant that they could make this technical assistance with knowledge of the local situation available. “The use of international and regional organisations for capacity development has my support. These organisations have a solid track record in various areas, which means that there is technical assistance on almost every issue: from sustainability and good governance to law enforcement and government finances. “Further capacity development is a requirement to arrive at an evolution of the checks and balances in the countries, and to achieve their autonomy. The working visit has shown that the various international organisations are most willing to give their support to this capacity strengthening in the Caribbean countries of the Kingdom,” stated Plasterk. The Minister said he was happy to see that the Dutch Caribbean countries were already making use of the opportunities of cooperation by making effective use of the network and expertise of the Kingdom embassies in the region and the Dutch Ministry of Foreign Affairs. The Minister said he was most willing to exchange thoughts with the Dutch Caribbean countries on the results of the working visit, and to discuss the possibilities for further cooperation that benefitted the economic and social development of the overseas countries. In his letter, Plasterk also referred to the delegation’s visit to the UN Department for Political Affairs in New York to discuss the fulfilling of the right of self-determination of the Kingdom countries. The Second Chamber had specifically requested this. According to Plasterk the talks in New York confirmed what was already known: it is possible for the islands to leave the Kingdom if the people on the islands so desire. The people can express this wish in a referendum. The Netherlands cannot unilaterally force the islands to become independent. “During the talks, it was confirmed that the relations within the Kingdom are an internal affair. Discussions on this can take place between the countries without the intervention of the UN,” stated Plasterk. The Minister noted that considering the lame-duck status of the Dutch Government, the formation of a new Curaçao Government, and the September 2017 elections in Aruba, he would ask his successor to discuss this matter with the Dutch Caribbean countries.